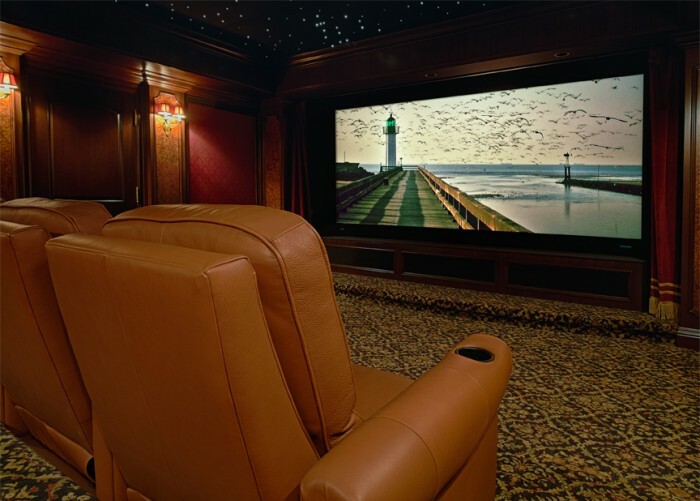 Pelham, New York’s Advanced Home Environments (AHE), a custom technology integrator specializing in modern home entertainment, control and communication systems, recently completed a private home theater that delivers large-scale visual impact with hidden hardware. Aided by Acoustic Smart, a New York-based home theater fabrication and design company, the award-winning 17’ wide by 24’ long dedicated theater contains a remarkable amount of advanced audio-video solutions, all tastefully concealed within a stylish theater design. At the heart of this 10-seat theater dwells a 3-chip DLP projector, delivering dazzling imagery to a 143” diagonal Stewart screen. 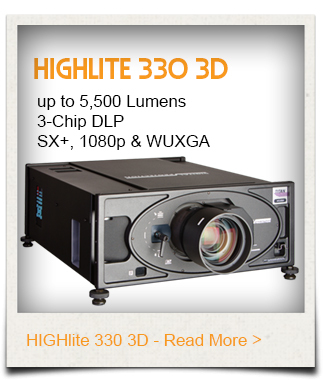 A high-contrast HIGHlite projector from Digital Projection International (DPI) was specifically chosen to drive the theater’s visual impact. “The projector’s quality, reliability and selection of interchangeable focal length lenses made it an easy decision,” stated Peter Sherman, owner of AHE. As the projector needed to be hidden from view, the diversity of lens choices allowed Sherman to hide the projector within a closet behind the rear wall of the theater without compromising the image quality. Complementing the HIGHlite is a 143” diagonal Stewart Filmscreen Cinecurve screen.